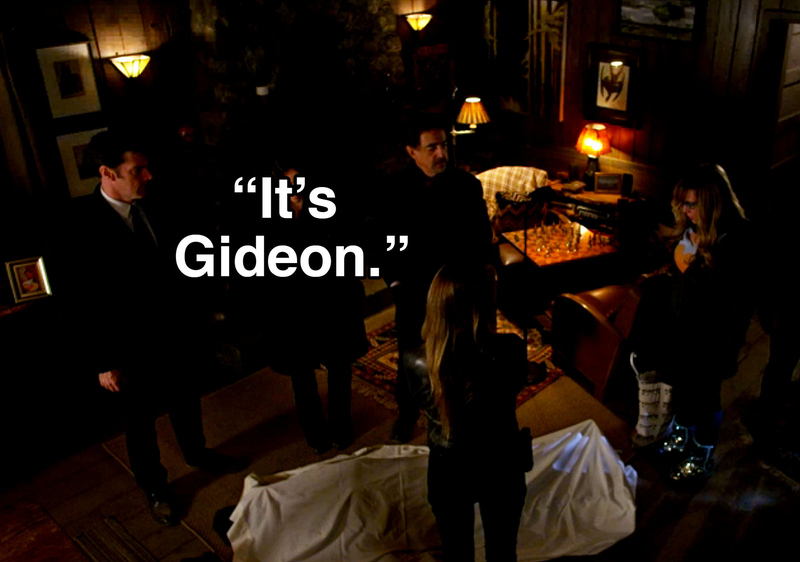 SSA Jason Gideon was murdered. The team was called to a cabin, only to discover that Jason Gideon—who served as a key member of the BAU in Seasons 1 through 3—had been shot dead. Luckily, he left behind a series of clues meant to help the team finally catch the one UnSub that had alluded him his entire career. Season 10, Episode 13 "Nelson's Sparrow"